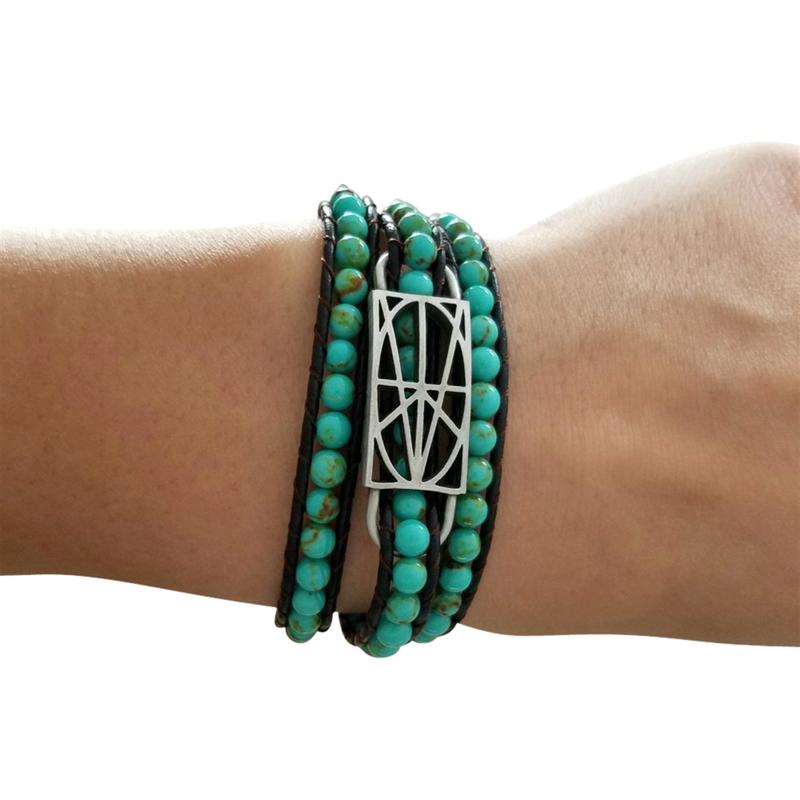 This Zymbol multi wrap bracelet makes for the perfect accessory to achieve a fun look. Turquoise colored beads are hand-woven on dark brown leather. ​What does your Zymbol say today?